THIS MACHINE CLEANS WITH STEAM. USES ONLY 6 PERCENT WATER IN VAPOR. 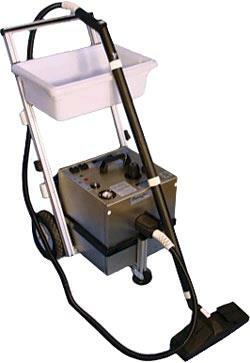 WORKS FOR CLEANING TILE OR GROUT, GREASE BUILD UP ON EQUIPMENT. Please call us with any questions about our vaporlux steam cleaner rentals in Morristown NJ, Madison NJ, Cedar Knolls and Morris Township NJ.